Chi Tung Bank of the Autonomous East Hopei Japanese Puppet State of China. 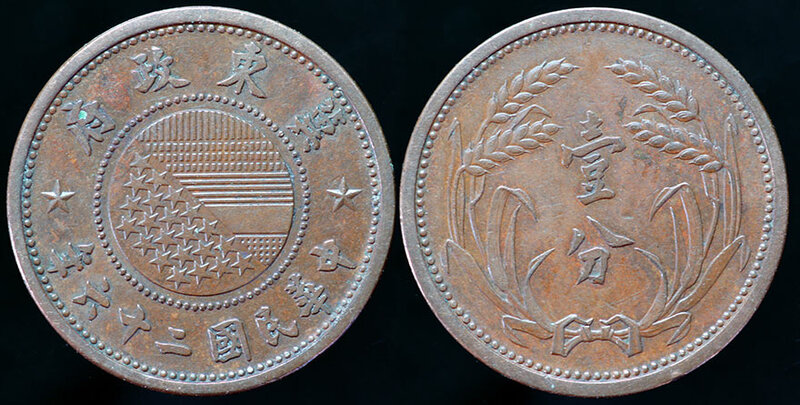 All coins issued were dated Year 26 which was 1937. Every denomination issued is here in the Museum. A second example.